If you are counting carbs, or at least paying attention to the amount and type of carbs you eat, it can help to understand the difference between "good" and "bad" carbs. According to the Harvard School of Public Health, some carbs promote health while others, if eaten too frequently or in quantities that are too large, can potentially lead to health problems. According to GroupHealth.com, between 50 and 60 percent of the calories a person consumes each day should come from carbohydrates. However, that doesn't mean that the carbs you'll find in candy, cookies and other highly processed foods are the same as those in vegetables and whole grains. That's where the idea of good carbs and bad carbs comes from. It basically breaks down into simple carbs being "bad" and complex carbs being "good." Complex and simple are terms that deal with how food is broken down into energy (sugar) in the body. The printable will print on your computer. If you're having problems printing, use this troubleshooting guide to help. 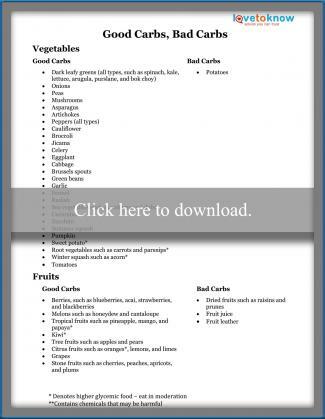 You can use this printable to help you make healthier carbohydrate choices when you shop, eat out, or cook. Cutting back on the bad carbs can help you lose weight, as well as give you a feeling of more energy and less irritability. Carbs are the fuel that makes your body run. Putting the right fuel in your engine makes a world of difference. Because good carb foods tend to have higher fiber and lower calories than many processed bad carb foods, you'll find yourself feeling fuller while eating fewer calories. You may even find that you're eating a bigger volume of food. Just because some foods have less desirable carbs does not mean you should kick them out of your life forever. Following the above list should not be seen as a strict rule. 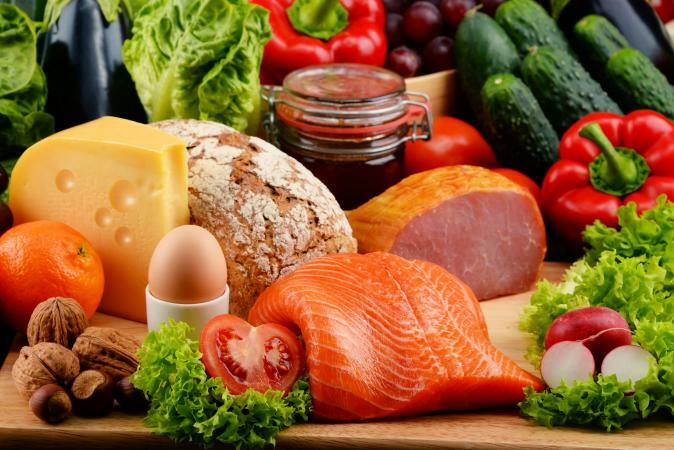 You should get most of your carbs each day from the "good" list, but you certainly don't have to cut out all rice or skip the birthday cake as long as you eat these items in moderation.